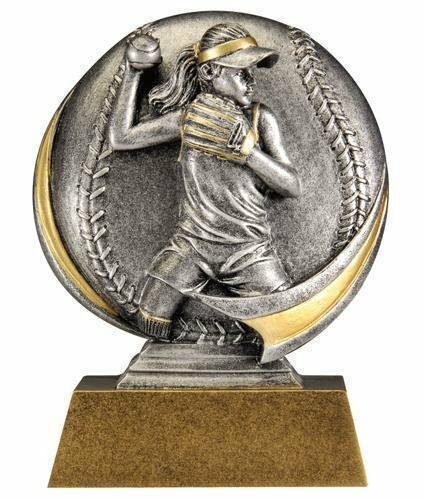 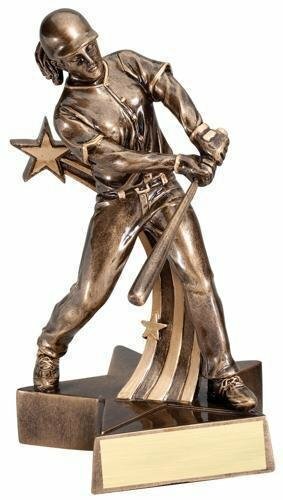 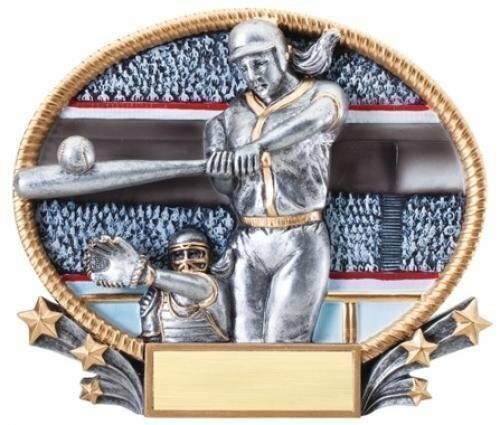 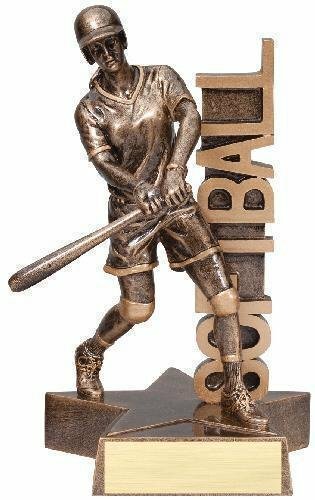 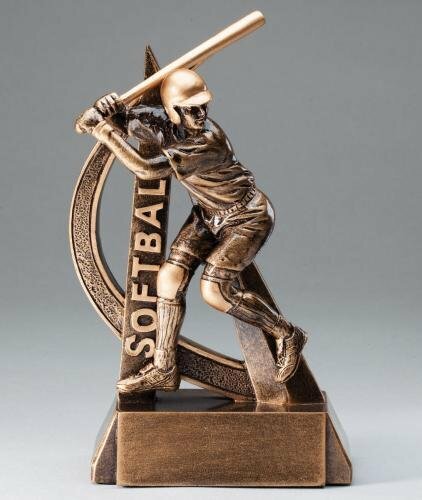 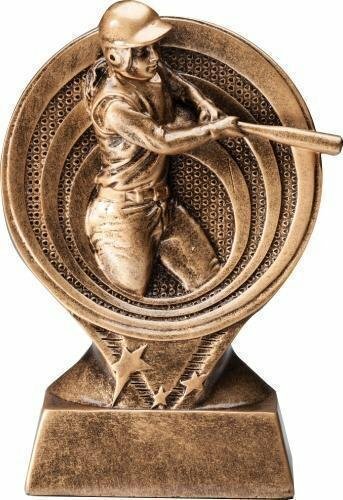 The Ultra Action Softball Trophy resin has an antique gold finish. 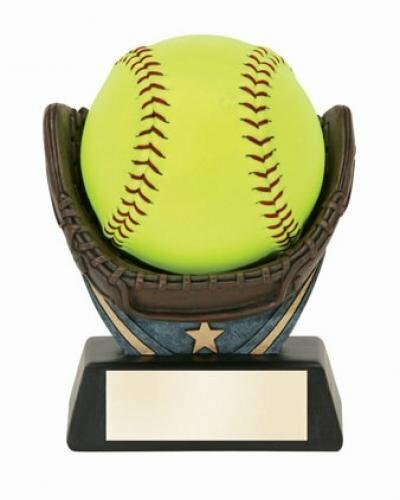 The trophy includes a brushed gold plate with up to 3 lines of black engraved letters. 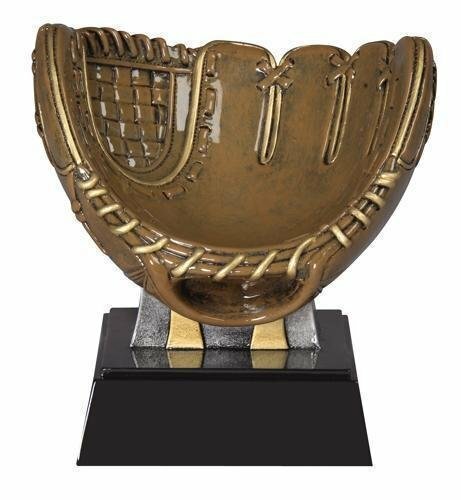 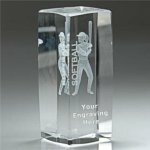 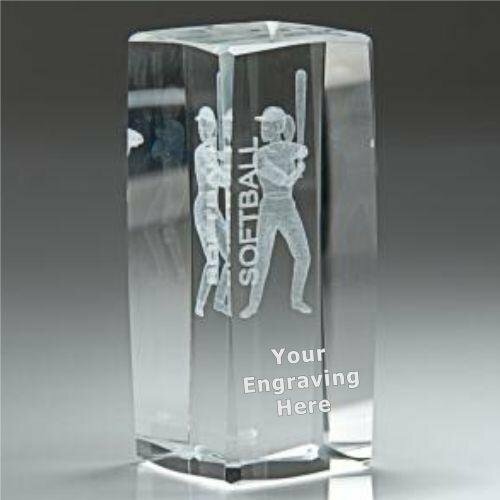 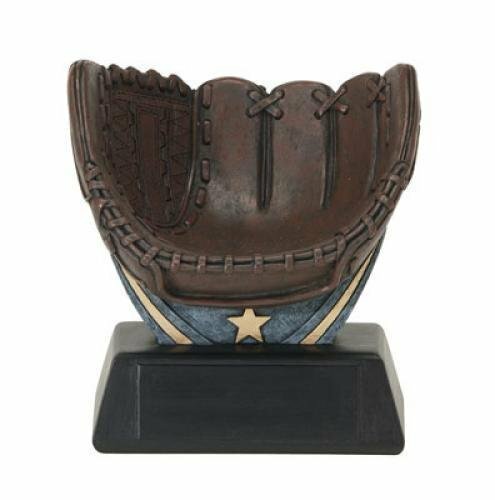 This softball award is an inexpensive trophy with great character.